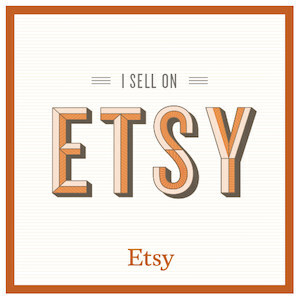 So today I have found myself at the end of a run of projects and commissions … I have a couple of kiddy free hours and am contemplating having a sort out. Not a huge sort out that means it needs to get worse before it gets better… one that clears a bit of desk space and clears my mind a little bit. 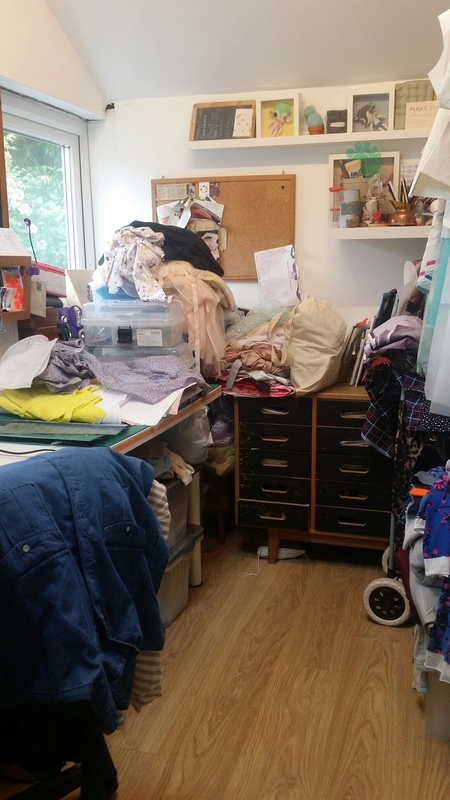 I tend to grab sewing time in-between Kids/Uni/Cleaning etc so it is too precious to allow tidying time aswell! 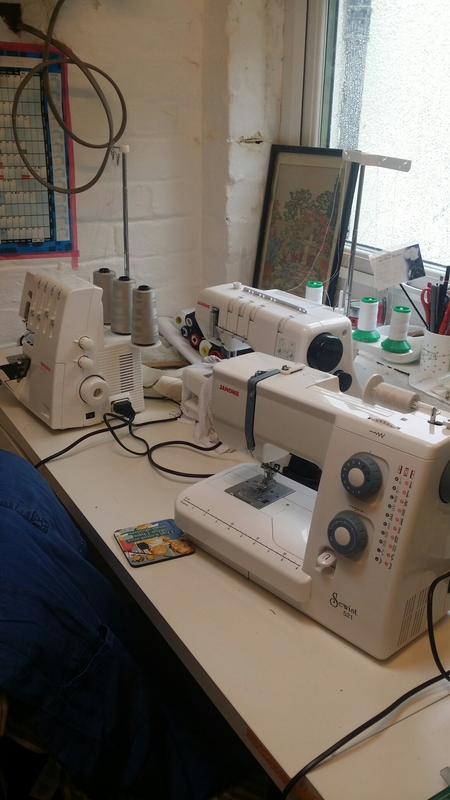 The three amigos – Overlocker, Coverlock and Sewing Machine. Next on my list is an invisible hemmer I just completed a dress commission that was crying out for one! (more on that after the dress has been worn!). 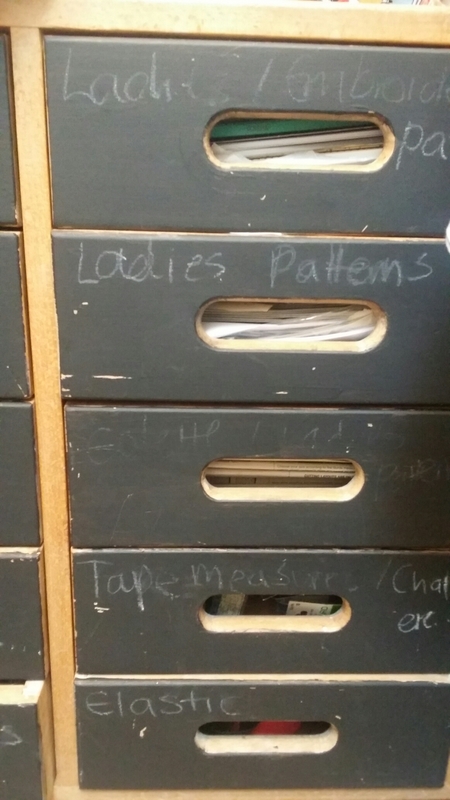 even my chalk labelling is rubbing off – might wait until I can sort through the drawers before I re-label them though – who knows what treasures are lurking in there! 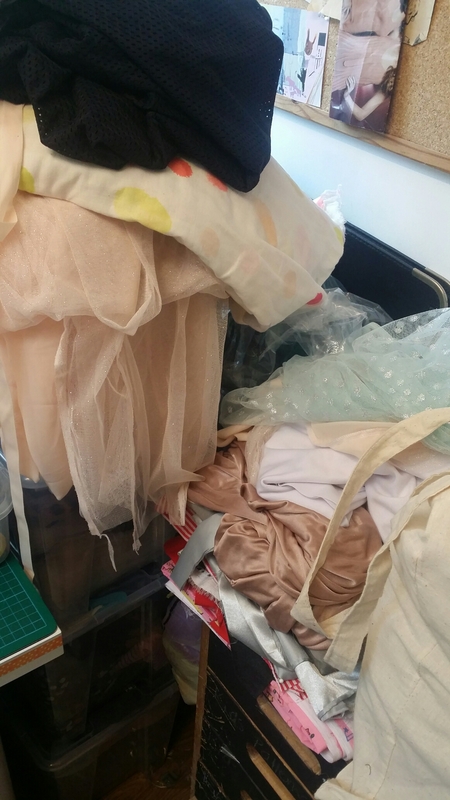 This corner is mostly piled up with Moo’s fabric; lovely big spots from Nani Iro (from Miss Matatabi on Etsy) and loads of bargain sparkly tulle and satins from Goldhawk road – for future tutus of course.